At Explore Highland we are able to offer sea kayak hire for your next Scottish paddling adventure. We offer the latest sea kayaks that are great for sheltered water touring or full-on Scottish West Coast expeditions. 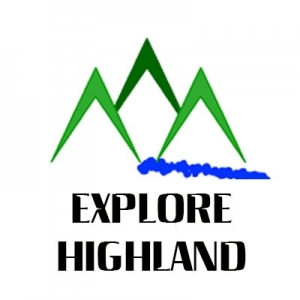 By providing only the best equipment and support, you can be sure that your sea kayak hire equipment will really make your Scottish paddling adventure holiday with Explore Highland that wee bit more special. Please complete the downloadable Sea Kayak Kit List and submit at the time of booking so your kit is reserved along with your craft. Please complete the downloadable Additional Kit List which can be submitted at the time of booking. For longer hires, please add £25 per day. Afraid it’s not viable to offer single kayak or less than two-day sea kayak hire. Please look to join one of the planned half day, full day or book a private guided trip. When out sea kayaking, under the Scottish Outdoor Access Code, you must take responsibility for your own actions on and off the water. We can help by providing you with our local knowledge, responsible access and safety information before you head off on your adventure. As a responsible company, sea kayak hire is only available to those with paddling and safety experience in the craft and intended environments. For those who have no experience or looking at venturing into unknown waters, a professional guiding service is available. Alternatively, Donald can offer a skills/safety training workshop for those wishing to hire sea kayaks without any experience. You can book your sea kayak hire in three easy steps. Step 1 – Check out the online diary for Donald’s availability for hire kit issuing and shuttle service is required. Craft availability is not listed online. Please also be aware as featured on the diary page, Donald is out coaching/guiding and not office based, so please apply with plenty of time to allow enquiries to be processed. Sea kayak hire is offered on the basis that hirers are appropriately experienced and qualified in the craft being hired, including safety & rescue of craft, kit, and group, in the environment being paddled. No instruction or safety cover is included with hire. Buoyancy aids are issued per kayaker and recommended to be worn at all times when on the water. £100 refundable security deposit is required per craft at the time of hire. Minimum of 14 days notice is required for all hires during peak season (March to October). Please see the online diary for Donald’s availability as longer may be required as frequently away guiding multiday adventure holidays with little to no signal. Drop off/collection service is also available when booked at same time as your hire. Hire Agreement terms & conditions form is required to be signed at the time of hire. For those with limited to no sea kayaking paddling experience, Donald run’s regular half day and full day trips plus offers bespoke guided adventure holidays which include coaching, guiding, transport and safety cover.